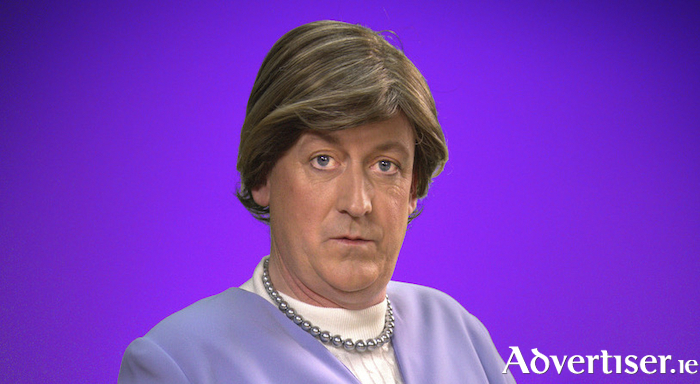 Barry Murphy as Angela Merkel. With regular host Karl Spain touring Europe with Kevin Bridges, Barry has agreed to step in. He founded the country’s longest running comedy club, The Comedy Cellar, in 1989, and he has appeared on The End, Father Ted, Soupy Norman, Stand and Deliver, and Irish Pictorial Weekly. Headlining the night is John Colleary, who has co-written and starred such IFTA nominated shows as The Savage Eye and Irish Pictorial Weekly. A talented actor and mimic, John recently featured as one third of The Gusset Brothers on The Tommy Tiernan Show. He also scooped a PPI award for his topical sketch writing and performance on Today FM’s The Last Word. Support is from Show Me The Funny 2017 runner-up Brian Gallagher. He has since become a regular contributor to the hugely successful YouTube channel 'Facts'; had a sell-out performance at Whelan’s, Dublin; and appeared at Forbidden Fruit, the Edinburgh Fringe, and the Vodafone Comedy Carnival Galway. The show is on Tuesday April 2 at 8pm. Tickets are €6 in advance from Róisín Dubh; www.roisindubh.net; [email protected], Shop Street; or €8 at door.